Lead Free Gold and Silver Plated Pewter Starfish Cuff Bracelet, Easy On/Off Hook Clasp. 7.5 in. SKU: CCBRCB417-GP. Category: Bracelets. Tags: br1, Bracelets, Latest Additions, Starfish Bracelet, Starfish Jewelry. Star Fish are amazing Sea Life Creatures that are able to regenerate. 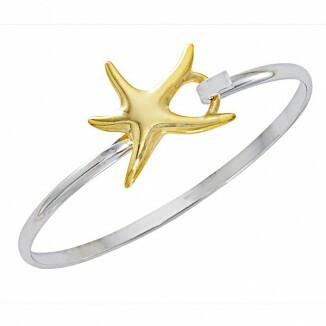 You will love our Starfish Gold and Silver Two Tone Cuff Bracelet inspirited by the gentle waves at low tide. The bracelet has an easy on/off hook clasp. Starfish Gold and Silver Two Tone Cuff Bracelet. 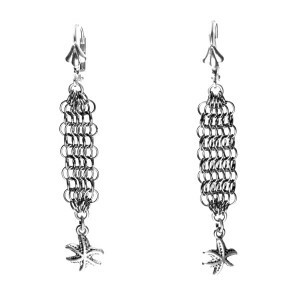 We have some wonderful choices of Star Fish Earrings, Bracelets and Necklaces to design your own Star Fish Jewelry Collection.